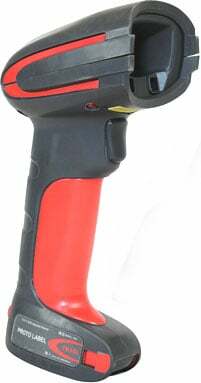 Honeywell Granit 1910i - SCANNER ONLY, Corded, 2D Imager, ER Focus. Scan distance is from contact to 2.5'. For a full kit purchase (Part# 1910IER-3USB). Optimized for Scanning-Intensive Industrial Applications. The Granit 1910i industrial-grade area-imaging scanner is designed to withstand the varied demands that exist in harsh working environments. Featuring a custom built housing that is redefining the standard for scanner reliability, the IP65 rated 1910i is built to survive 5,000 3.3� (1 m) tumbles and 50 drops to concrete from 6.5� (2 m) even at -22 degreesF (-30 degreesC). As a result, businesses deploying this industry leading offering can expect to experience minimal device downtime and a lower overall cost of ownership. Works Great-Buy the correct cord! The Honeywell 1910IER-3 is also known as HSM-1910IER-3	or 1910IER3	.